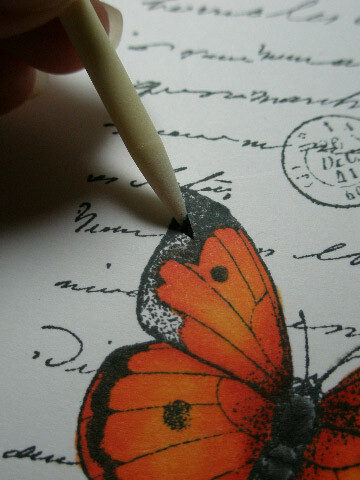 So Not Mocha-vated: A Butterfly For You....with Copics and Distress Inks..
A Butterfly For You....with Copics and Distress Inks.. 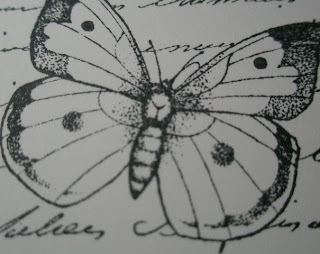 I have loved butterflies since I was a little girl. Any stamp set I see with them, I try to pick up. I am obsessed ;) Since I have all of these butterflies I had better get to inking them up. For this card I decided to try mixing distress inks with my Copics to color the image. I love how it turned out and I look forward to using this technique again. 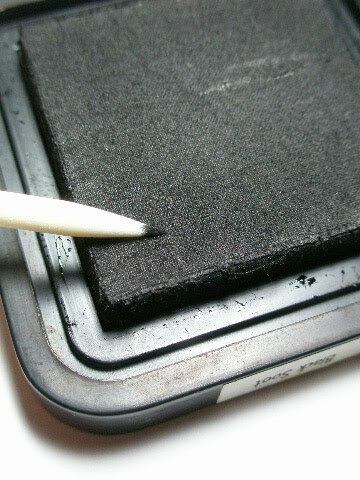 First, I inked my image with Memento Ink in Tuxedo Black. I used Cut N' Dry Nibs by Ranger to apply the distress ink to my butterfly. I simply used the nib to pick up color directly from the ink pad. I then applied the ink to the image in the desired spots. I used Spiced Marmalade and Fired Brick to add shading to the butterfly after coloring it with a Copic combo of YG04, YG07, YG09 and Y00. The mix of colors orange, yellow and red really brought the image to life. I love the intensity of this coloring technique. 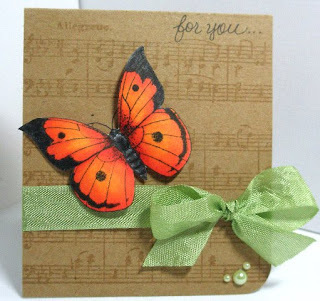 Pryn, This is a beautiful card and thank you for sharing your techinique with us. Hope you are getting by as well as you can. Even though I have been super busy and have not got to visit blogs as often as I'd like to lately, I have not forgot about you. I have kept you in my thoughts and prayers daily. Gorgeous Pryn! Great tips and the results are just out of this world. I am soooooooo happy to see you back, Pryn!! I really did miss you!! Love ya!!!!! Pryn I love, love this card!! That butterfly is totally gorgeous! Thank you for the tutorial and I will be doing this real soon!! Pryn, this is really gorgeous. Thank you so much for the tutorial, I will definitely need to try this out. Luv Ya sweetie. This is a great card!Love how the colors pop! 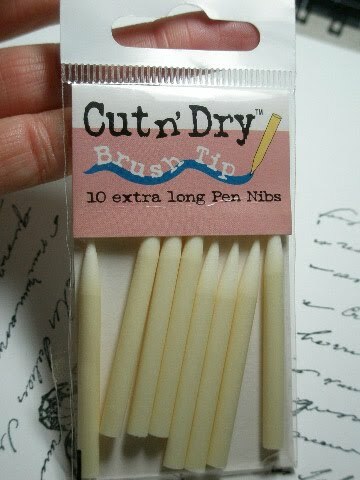 I so need to learn how to use Copics!and I have never used the pen nibs?